Our road to recovery program is a complete continuum of care that initiates the client into treatment and continues far into their recovery. Our program starts with a 10-90 day outpatient medical detoxification, continues on to 1-4 months of intensive outpatient treatment and general outpatient treatment, and provides lifetime relapse prevention services. See Treatment Services for a look at what’s involved. These timeframes are for information purposes and treatment times vary by client needs and may be longer or shorter depending on each individual. Our outpatient treatment program is designed to provide 24 hour staff access for medical detoxification for individuals in need of alcohol and drug rehab in St. Louis and Kansas City. The outpatient program is designed to stand alone or combine with our ancillary services for the highest level of care available. 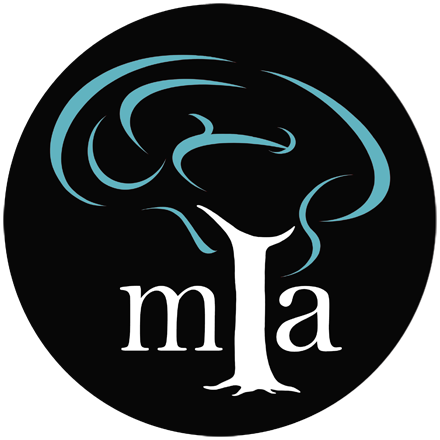 Our complete continuum of care means you or your loved one can receive the care needed from one place; MIA’s alcohol and drug rehab. Our facility provides a comfortable and welcoming environment. 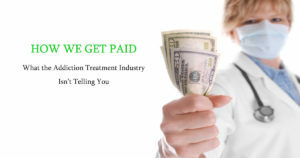 Our alcohol and drug rehab is unique in the services provided, the way in which they are provided, the ease of scheduling, and the financial feasibility for clients and familes. Our outpatient detox program includes Physician visits, and prescriptions for medication used in detoxification, relapse prevention, and symptoms associated with the medical condition of chemical dependency. Some of the medications used during detox include Suboxone, Vivitrol® Injections, Naltrexone, Campral, Antabuse, sleeping aids, muscle relaxers, antidepressants, anti-anxieties, and other medications that help with homeostasis and stabilization as an individual attends our rehab facility*. Clients receive medical detox, addiction treatment therapy, and more in our alcohol and drug rehab programs. 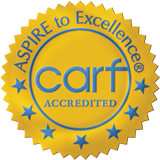 This alcohol and drug rehab program care structure includes medical, mental health, and behavioral care. Behavioral therapy entails individual sessions, group sessions, family sessions, family group sessions, and ancillary services such as health and wellness, meditation and more. Our addiction therapists are all Master’s or Doctorate level substance abuse counselors, social workers, or Psychologists. Clients are given a monthly assessment to determine the effectiveness of treatment thereby allowing the best quality care available as we adapt to the client’s needs during the alcohol and drug rehab program. Clients are provided 24 hour emergency contact with both therapists and medical staff to ensure accessibility and responsiveness of our addiction professionals while in our programs. This program combines all of the services we provide in IOP at a lower intensity. Clients enter treatment at the General Outpatient level or drop down from more intensive levels of care starting as high as Partial Hospitalization. Each client is assessed to determine their appropriate level of care. The client’s level of care is determined by their needs and circumstances. While some individuals might not need 24 hour medical attention there are those who require it. Individuals and their families are encouraged to schedule a free consultation to discuss their needs and preferences and an in-depth assessment to identify an appropriate level of care. Clients do not always need inpatient services to successfully recover from alcohol and/or drug addiction, but outpatient services are correlated to success in treatment either alone or as a step-down from a higher level of care. The data shows a reduction in recidivism by more than half when outpatient care is part of the treatment continuum. *Medications, detox protocols, and treatment are determined by the attending physician and may vary for each case. The information provided is general in scope and meant to be informative rather than diagnostic.